This San Diego Chargers Greats poster was distributed exclusively at a home game in the late 1990s. 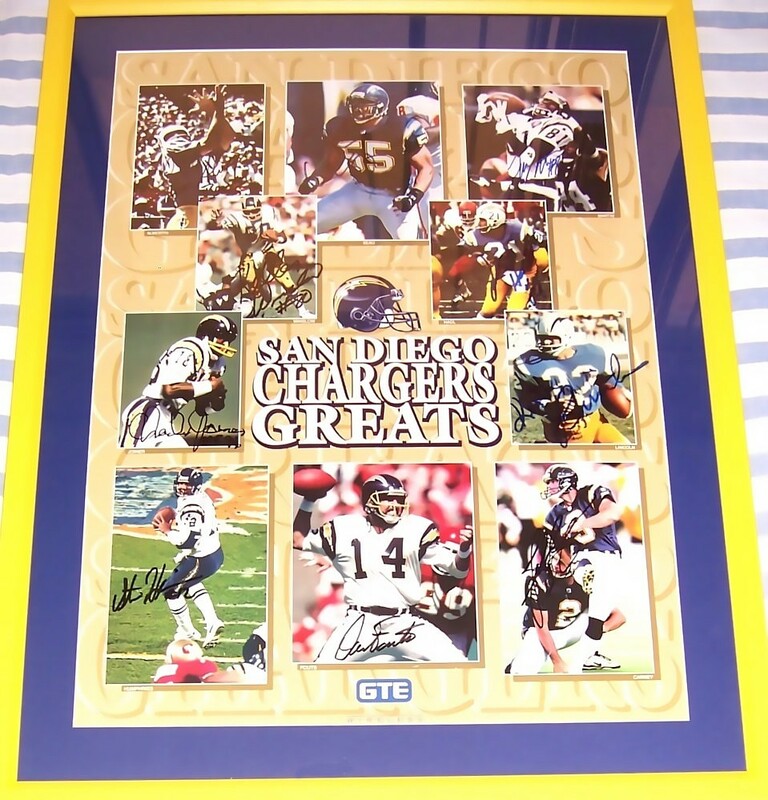 It is autographed by all 10 featured players: Lance Alworth, John Carney, Dan Fouts, John Hadl, Stan Humphries, Charlie Joiner, Keith Lincoln, Tony Martin, Junior Seau and Kellen Winslow. Five of these greats are Hall of Famers. 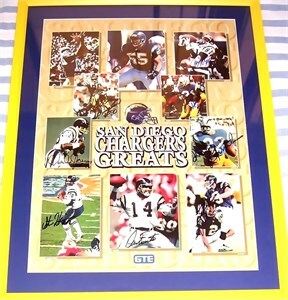 This is one of the very few, or perhaps the ONLY, Chargers Greats poster in existence that is signed by all 10 players. Five of the autographs are in black marker, four in blue marker. The poster is matted in Chargers navy blue and framed with plexiglas in Chargers yellow wood, ready to hang. Although the poster has moderate wrinkles due to being handled, this is noticeable only upon close inspection. Framed size is about 22 by 29 inches. With certificate of authenticity from AutographsForSale.com. ONLY ONE AVAILABLE FOR SALE.